The Canada Games Centre (CGC) is committed to promoting healthy and active lifestyles for our community and to providing access opportunities for sport and recreation at all levels. One of our core values is “Community” – bringing people together by creating a safe, trustworthy and welcoming environment where the unique needs of individuals are considered. We pride ourselves on being community oriented, offering variety and being accessible. The Canada Games Centre offers rental fee assistance through the Nova Scotia Department of Community, Culture & Heritage’s Facility Access Fund. 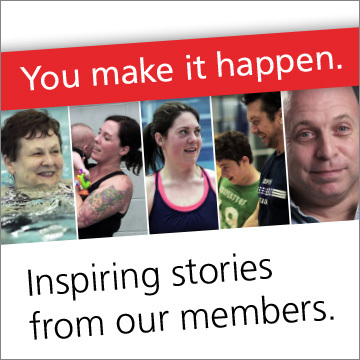 Access to the CGC for a group swim or field house/track rental is available for groups at a reduced rate. To qualify, groups must be registered not-for-profit organizations working with low income individuals/families/groups in the community. Activities the organization wishes to pursue must be consistent with the CGC mandate of helping to increase physical activity levels in our community and the requesting organization must provide staff to accompany/instruct and assist group participants in their planned activity. Fee assistance for group swims and rentals will be distributed based on need and availability of space. 2017 Summer Camps & Programs Guide Now Online!